The math and computer science department provides an educational program in which our students develop the critical-thinking, problem-solving, computational, and active-learning skills essential for responsible decision-making and a broad range of careers in a rapidly changing society. 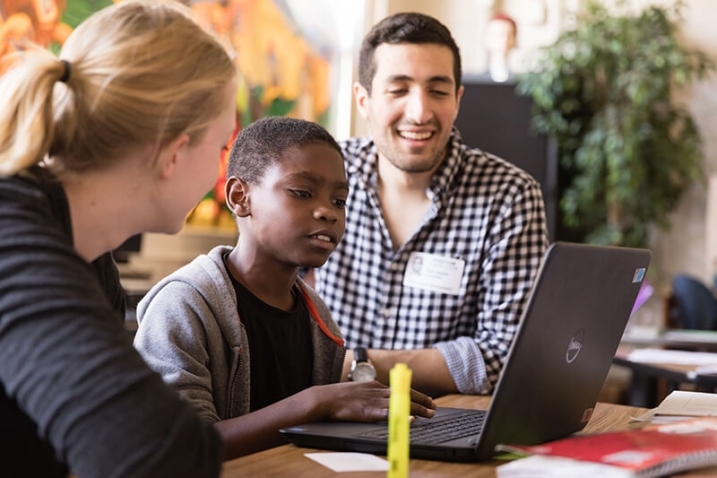 Sam Sadeh and a team from Rollins have teamed up with Google to teach computer science at local elementary schools. Math and computer science double-major Shree Raj Shrestha shares his path from the Kathmandu Valley to a job at Amazon. 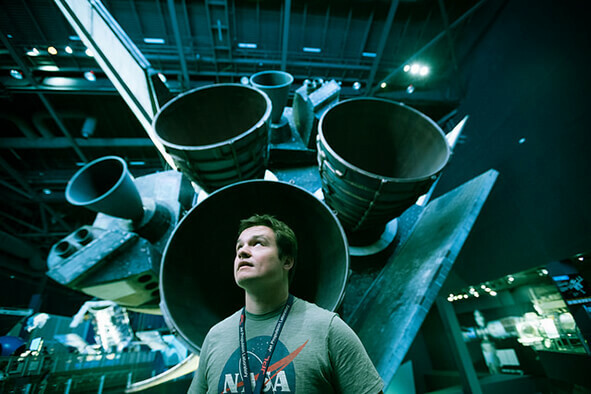 Michael Gutensohn '18 has gained real-world experience through three NASA internships. Read more. Why Math and Computer Science at Rollins? Your Career Math and computer science skills are in-demand by employers. Recent students have earned jobs and internships at top companies, including Amazon, Los Alamos National Laboratories, Lockheed Martin, and NASA. Other students have gone on to prestigious graduate programs at places like Johns Hopkins University and the University of Notre Dame. Location Orlando is famous for theme parks, but it's also a growing technology hub. Our city is the worldwide headquarters of the modeling, simulation and training industry, featuring over 100 companies developing next-generation virtual reality tools and the co-located simulation and training commands of all branches of the U.S. military. The historic Kennedy Space Center is now the base for a growing private space flight industry, including regular launches by high-profile companies like SpaceX. The monthly Orlando Tech Meet-Up is the largest regular gathering of tech entrepreneurs in the South. Engaged Learning Our math and computer science programs complement one another, making it easy to double-major or minor. 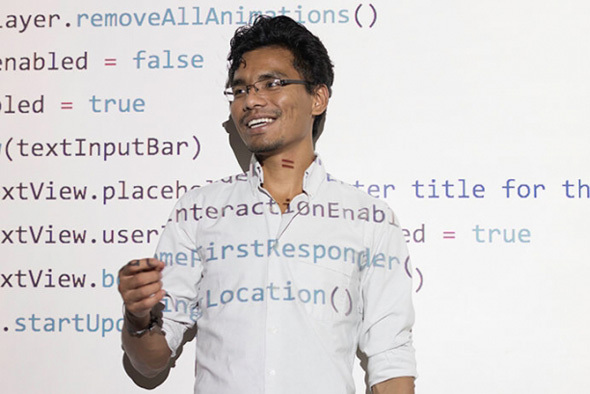 Many students combine math or computer science with a different field, like business, for an unbeatable combination of skills and opportunities. 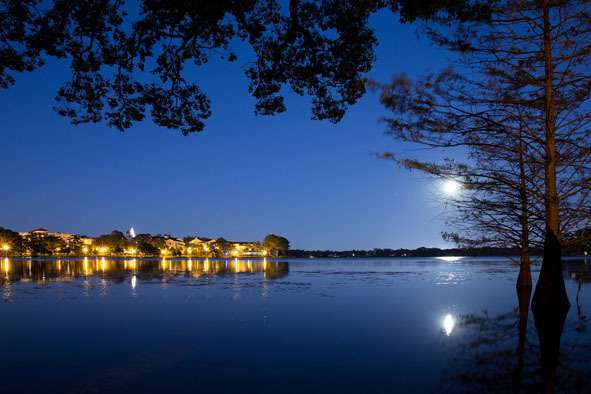 You Won't Get Lost in a Crowd Like all programs at Rollins, our classes are small, with an emphasis on individual attention, engaged learning, and collaborative problem solving. Our students meet regularly with their professors to design their academic and career plans. Our students and faculty regularly collaborate on cutting-edge research projects in a variety of areas, including artificial intelligence, human-computer interaction, and graph theory. Check out some of our recent work.